Home > iOS > How To Set Background App Refresh On for Wi-Fi Only in iOS 11? Data consumption is also a big factor. When applications run in the background it consumes mobile data. If you connect over Wi-Fi you may not be bothered by data consumption, but when you are on the go and connected to mobile data, then background refreshing may incur additional data. Now, since Apple focuses a lot on the user experience, iOS have included an option to manage this background task. 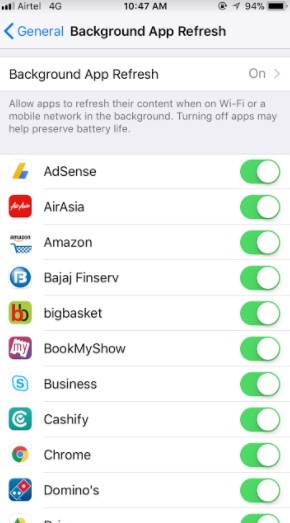 The following article will help you to set app refreshing in the background only for Wi-Fi. 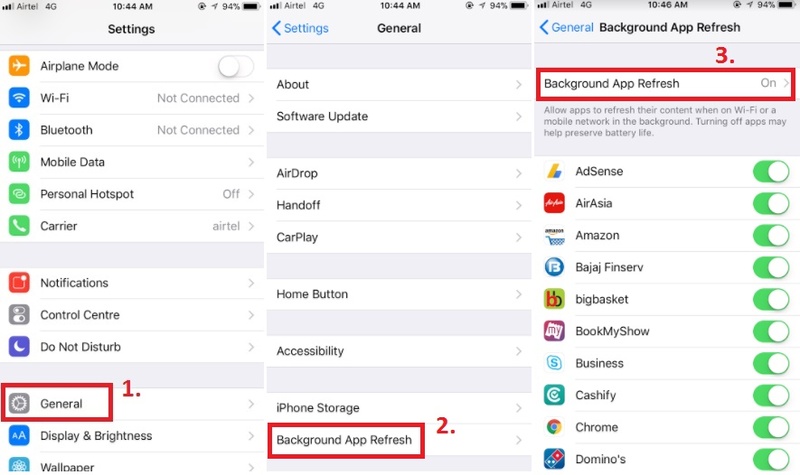 Steps To Set Background App Refresh On for Wi-Fi Only in iOS 11? 4. As the background App Refresh opens, you will find the option “Background App Refresh” turned on. Now you have two ways- one is turning off Background App Refresh for all Apps. The second way is individually turning of a Background app refresh for individual apps. If you want to disable the app refresh, then move the slider to the left. A new window will pop up with three options, Wi-Fi, Mobile Data or Wi-Fi or Off. Choose only Wi-Fi.